The 61st Miss Universe Pageant took place on Wednesday, December 19 at PH Live, Planet Hollywood Resort and Casino in Las Vegas, Nevada. This year, 89 beauties competed for the crown but it was the homegirl, Olivia Culpo of the USA who took the title. This was a great year for the Miss Universe in terms of the quality of the contestants but no so great also because it was apparent that Las Vegas was a last minute backup plan after they AGAIN could not find a host country for the pageant. The Miss Universe Organization will have to do something drastic to stop this from happening again. The day before the show, I released my final Stairway to the Crown leaderboard. I have always found it easier to predict or kind of know what will happen at Miss Universe but this year I was pretty shocked at how things worked out. The judges only agreed with 8 of my choices: South Africa, Venezuela, Philippines, Mexico, Australia, USA, Croatia, and Brazil. Instead of Puerto Rico, Malaysia, Paraguay, Sri Lanka, Chile, the Netherlands, Trinidad and Tobago, and El Salvador the real judges and Miss Universe Organization included Turkey, France, Hungary, Russia, Kosovo, India, Peru, and Poland. I was dumbstruck by the inclusion of Russia, Peru, and especially Turkey and India. These results just did not make sense and I had a nasty feeling that it was going to be a night of a lot of terrible surprises. First up was the swimsuit competition. Each of the top 16 got to strut in their Kooey swimsuits. I will put the score I gave them in brackets. IN MY OPINION. SHE LOOKED ABSOLUTELY AMAZING!!!! The real judges agreed with 7 of my choices but sent Hungary, Russia, and France to the top 10 instead of Poland, Kosovo and Croatia. I ALWAYS THOUGHT OLIVIA CULPO COULD DO WELL AT MISS UNIVERSE BUT I NEVER IN A MILLION YEARS THOUGHT THAT SHE WOULD WIN. 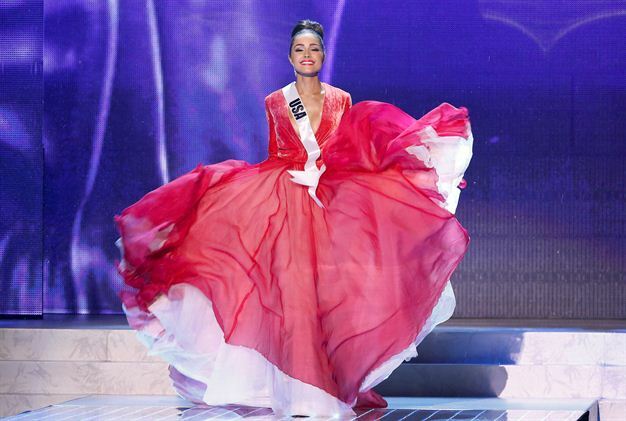 I WAS CONVINCED THAT HER HIGHEST PLACEMENT COULD BE 4th RUNNER-UP. THAT JUST GOES TO SHOW: NEVER UNDERESTIMATE A DELEGATE ESPECIALLY FROM THE HOST COUNTRY. MISS WORLD AND MISS INTERNATIONAL ALSO CROWNED THE GIRLS OF THE HOST NATIONS THIS YEAR. THIS HAS GOT TO BE ONE OF THE STRANGEST YEARS WE HAVE EVER SEEN IN PAGEANTS. LET'S HOPE 2013 BRINGS SOME NORMALITY TO THE PAGEANT WORLD!!!!! Australia, Philippines, Venezuela, USA, and Brazil! 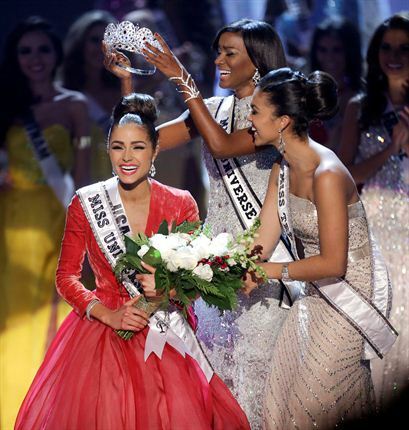 Congratulations to Olivia Culpo who was the judges choice as Miss Universe 2012. I think she is extremely likeable and even though she was not on fire during the final night, I believe that she will grown this year and she will win our hearts. She is a stunning beauty and she's charming, well-spoken, and intelligent. She will be an exceptional Miss Universe. I watched the Preliminaries on YouTube and I came up with my own 16...I did not choose Mexico, Russia, Turkey, India, and Peru. I chose Ecuador, Lebanon, Malaysia, Paraguay, and Sri Lanka. Just like you I was shocked by the choices...What is funny, the way you ranked the Top 5 is the exact way I ranked them before the winner is crowned. I definately agreed with your choices over the ones chosen in the Top 16 that night!! BTW, second year that Malaysia was overlooked....what is going on????? Let's face it, Miss Philippines' question was the easiest (and the most ironic considering the furor over last year pageant where only Miss Philippines did not use an interpreter) and there is only one answer to that question. Miss USA's question on the other hand, could've been answered any number of ways and thus have a bigger chance of screwing up and creating a Youtube moment like Miss Venezuela's. Really? Because that question is asked over and over again on multiple occasions. Miss Philippines question on the other hand was no where easiest and it's difficult but besides that, she nailed it and Olivia's answer sucked.